What a great time to be in IT! So many interesting things are taking place; it was quite difficult to pick a few of my open tabs from the past few weeks to share here. 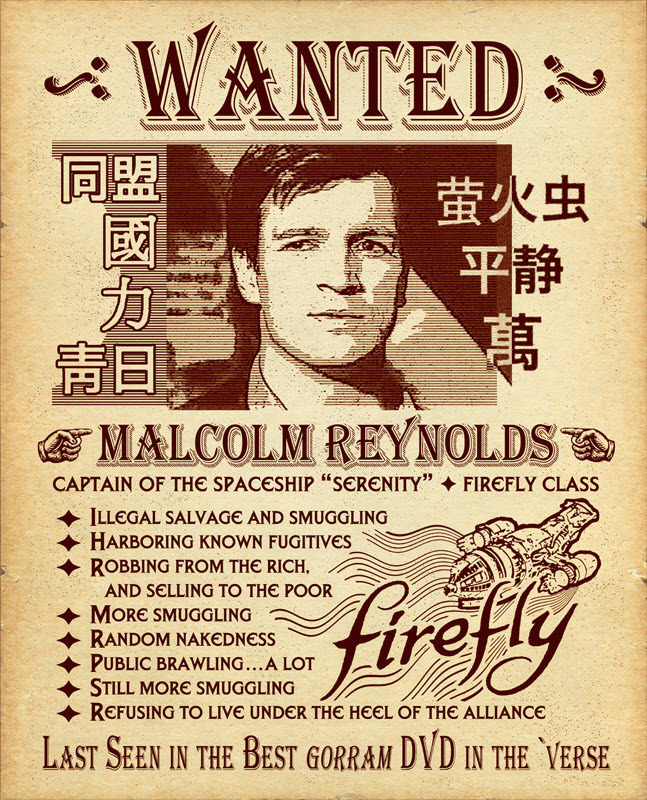 And for some reason I’m once again on a Firefly kick – I suppose that is partly GS’ fault, but that show never 100% leaves my noodle. And with that … let’s go! Install Android on VirtualBox – The team over at 4sysops has written a few posts on how to get an Android virtual machine going on VirtualBox, including configuration. I also like that they took the time to walk through some challenges – such as a missing mouse or black screen issues. Seems like a neat way to play with Android without investing in hardware. While you’re there, you might also want to check out some of the new must-have features in PowerShell 5.0 – such as OneGet. eWeek Loves SDN and NFV – It’s hard to wander around eWeek without bumping into an article that features SDN (software defined networking) or NFV (network functions virtualization) in the headline. Seriously. Brocade, HP, Genband, and carriers are all featured. No wonder it’s such a volatile topic among vendors. From now all, all of my posts will have SDN, SDS, or SDDC in the headline, if not all three. Look Within the Walls for the Enemy – Anthony Burke managed to spend multiple paragraphs talking about medieval fantasy and warfare, and then tie it into networking. I think that’s cool. vSphere VM vCPU to ESXi host CPU core allocation – Magnus Andersson, a VCDX, writes up a great post on the topic of vCPU to pCPU relationships, including a script to calculate the oversubscription ratios and create an HTML report. That’s awesome! An introduction to Microsoft Scale Out File Server – Fresh from Experts 2 Experts Virtualization Conference (aka E2EVC), Luca Dell’Oca dives into the world of Microsoft storage. I particularly enjoyed his explanation around tiering, the use of SSDs, and rebalancing. VMware vCenter Heartbeat Officially Flatlined – That’s a rather snazzy title, and certainly grabbed my attention. As posted by Eric Wright, vCenter Heartbeat is officially going bye-bye. While I’ve only deployed it a handful of times, I’m curious what’s next – is there some new distributed model being developed by VMware, or would they rather you go directly to the source with Neverfail? Opinion: Protect, *then* Perfect – An Inverted Approach to DR – Disaster Recovery funds tend to be made available after a disaster, which is the least helpful time to look back and wish something had been done. Shannon Snowden, of DR/BCP company Zerto, talks about an inverted approach to DR in which protection comes first and then perfection of the workflow comes second. Is it possible to leverage this to acquire budget and perhaps save your bacon in advance, or will companies continue to appropriate budget only after the smoke clears? VMware: NSX for vSphere 6.0.4 – Documentation and Download? – Apparently it’s hard to hide new NSX download material from Christian Mohn. But then again, it makes sense since the June VMware price list has been updated with SKUs for per-CPU and per-VM licensing for NSX. Citrix PVS Pro Tip : Watch your Slots on VMware! – I was reading through a number of technical break/fix blog posts and found this one in particular. Written by Carlo Costanzo, it covers an issue in which a Citrix PVS streams a desktop with a mismatched Ethernet slot property. Neat find.